FREE WIRELESS INTERNET Spacious Room, featuring King bed, Tea & Coffee making facilities, Austar including Kids, Sports & Movie channels, enjoy our indoor pool, spa, sauna & BBQ area. Fully Self Contained 2 Bedroom Apartment on the North Arm, Austar including Kids, Sports & Movie channels, enjoy our indoor pool, spa, sauna & BBQ area, Volley Ball Court & Kids Playground. 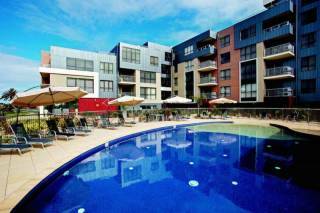 Refurbished Fully Self Contained 2 Bedroom Apartment on the North Arm, Austar including Kids, Sports & Movie channels, enjoy our indoor pool, spa, sauna & BBQ area, Volley Ball Court & Kids Playground. FREE WIRELESS INTERNET Spacious Luxury Room, featuring King bed, 2 person Spa, Mini bar, Nespresso Coffee Machine, LCD TV , Austar including Sports & Movie channels, enjoy our indoor pool, spa, sauna & BBQ area. Bellevue's 3 Bedroom Apartment is a spacious fully self-contained apartment, with a full kitchen, laundry, three separate bedrooms and three bathrooms. Bedrooms feature 1 King Bed, 1 Queen Bed and 2 Bunk Beds, making it ideal for larger families or a group of friends travelling together. This apartment is located upstairs offering views over Cunningham Arm and the regions fishing fleet. 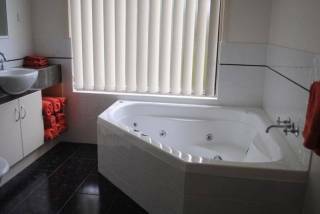 FREE WIRELESS INTERNET Spacious Studio Suite, featuring King bed, 2 person Spa, Self contained Kitchenette, Mini bar, Nespresso Coffee Machine, LCD TV , Austar including Sports & Movie channels, enjoy our indoor pool, spa, sauna & BBQ area. 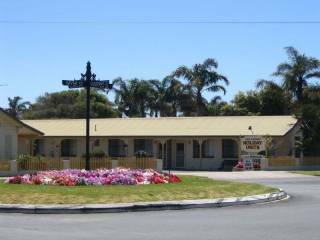 A hotel that has holiday and corporate resort facilities, right in Lakes Entrance, which when you leave, makes you feel like you wish you had another day to stay, relax and enjoy. Enjoy our modern facilities and comfortable accommodation. Choose from our Two Bedroom fully self contained Apartments with North Arm Lake Views, our Boathouse Studio Apartments, the luxurious Boathouse Spa Suites or our Guest Rooms. Dine at the Boathouse Restaurant, critiqued by the Herald Sun as one of Victoria's Top Seafood Restaurants. Book your nextcorporate conference or private function at the Bellevue on the Lakes. 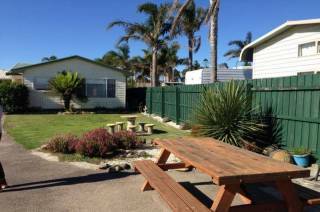 Located in the heart of Lakes Entrance, Gippsland Lakes. Bellevue on the Lakes has accommodation to suit all styles of travelers. The Guest Rooms are perfect for the corporate traveler or short stays. The Deluxe Apartments are an ideal base for the family or group holiday, and longer stays. The Boat House Spa Suites suit those looking for a romantic weekend away, a touch of luxury and relaxation. And Bellevue's Boathouse Studio Apartments offer kitchen facilities for those travelers who would prefer to do just a little catering of their own. Bellevue on the Lakes accepts the following credit cards - Mastercard, Visa and AMEX (a 3.3% surcharge applies to AMEX).